Dr. Mirelle Ann Marquez Ignacio joins Cucamonga Valley Medical Group as a Family Medicine Physician. She attended Medical School at University of Santo Tomas in Manila, Philippines. After graduating Medical School, Dr. Mirelle Ann Marquez Ignacio completed her internship and residency training at Sacred Heart Hospital in Allentown, PA. In 2016, she received the Dignity Recipient Award from St. Mary High Desert Medical Group. 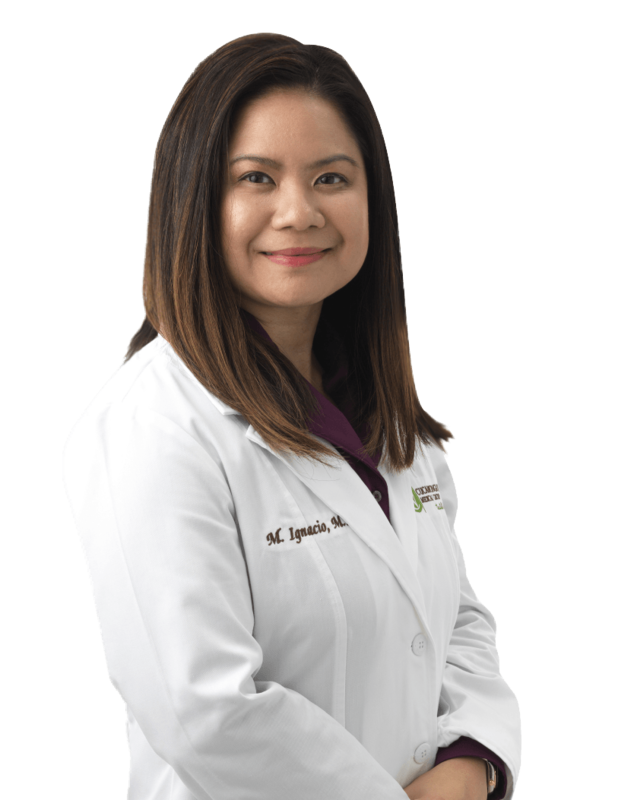 As a Board Certified doctor in Family Medicine, Dr. Mirelle Ann Marquez Ignacio is excited to join the Cucamonga Valley Medical Group family and care for yours. When she’s not treating patients, she enjoys spending quality time with her family, playing mini-golf and visiting theme parks. Dr. Mirelle Ann Marquez Ignacio speaks English and Tagalog.